One of the world’s most successful and beloved storytellers joins us just days after the release of his latest novel, the story of a young man with a history of violence and bad decisions who is applying himself toward his teaching degree and a better life, and a hardworking young daughter of Mexican immigrants with a seemingly flawless professional track record as a lawyer. Both wrestle with their own traumatic histories as they begin to build a tenuous relationship. Purchase of the book from The Book Stall is required to attend this event. (Save your receipt for books purchased from us in advance; the book goes on sale Oct. 13.) At the event, the author will sign one copy of See Me per person. EVENT OVERVIEW: Nicholas Sparks will discuss his life and New Book The Longest Ride In Conversation with Vivien Jennings, Founder & President of Rainy Day Books, Inc.
ABOUT THE AUTHOR: Nicholas Sparks is the author of 15 New York Times Bestselling Books. He lives in North Carolina with his wife and children. ABOUT THE NEW BOOK: Ira Levinson is in trouble. At ninety-one years old, in poor health and alone in the world, he finds himself stranded on an isolated embankment after a car crash. Suffering multiple injuries, he struggles to retain consciousness until a blurry image materializes and comes into focus beside him: his beloved wife Ruth, who passed away nine years ago. Urging him to hang on, she forces him to remain alert by recounting the stories of their lifetime together – how they met, the precious paintings they collected together, the dark days of WWII and its effect on them and their families. Ira knows that Ruth can’t possibly be in the car with him, but he clings to her words and his memories, reliving the sorrows and everyday joys that defined their marriage. A few miles away, at a local rodeo, a Wake Forest College senior’s life is about to change. Recovering from a recent break-up, Sophia Danko meets a young cowboy named Luke, who bears little resemblance to the privileged frat boys she has encountered at school. Through Luke, Sophia is introduced to a world in which the stakes of survival and success, ruin and reward, even life and death loom large in everyday life. As she and Luke fall in love, Sophia finds herself imagining a future far removed from her plans a future that Luke has the power to rewrite, if the secret he’s keeping doesn’t destroy it first. Ira and Ruth. Sophia and Luke. Two couples who have little in common, and who are separated by years and experience. Yet their lives will converge with unexpected poignancy, reminding us all that even the most difficult decisions can yield extraordinary journeys: beyond despair, beyond death, to the farthest reaches of the human heart. EVENT FORMAT: Nicholas Sparks will discuss his life and New Book The Longest Ride In Conversation with Vivien Jennings, Founder & President of Rainy Day Books, Inc. A Meet & Greet with readers & fans will follow the discussion. Tickets are sequentially numbered in the order they are purchased. Patrons will receive their autographed Books at the Door of this Event. In order to allow time for meet-and-greet with fans after this Event, no autographing will take place at this event. ADMISSION PACKAGE: $27.00 plus Kansas Sales Tax includes One Hardcover of The Longest Ride, One Stamped Admission Ticket and One Guest Ticket (if needed). It's your choice, for the same Price. PLEASE NOTE: Your order will be held under your name at the Will Call table of this event. AUTOGRAPHED BOOKS AND TICKETS WILL BE DISTRIBUTED TOGETHER AT THE DOOR OF THIS EVENT on 10/10/13. Doors will open at 5:30 PM. YES, WE SHIP AUTOGRAPHED BOOKS WORLDWIDE! Order an Autographed Book using the link below. Due to time constraints, we are unable to fulfill requests for personalizations. Your Order will ship within a day or two of the Author Event. All books are packed in cushioned bubble wrap and shipped in boxes. International customers, E-mail Mailbox@RainyDayBooks.com for a shipping quote. We ship using United States Postal Service International Priority Mail. St. Louis Public Library - Central Branch Co-sponsored by Left Bank Books An Evening With Nicholas Sparks and KSDK's Heidi Glaus Discussing The Longest Ride Support the St. Louis Public Library when you spend an special evening with one of America's most beloved authors, New York Times bestseller Nicholas Sparks. This is an on-stage conversation with a Q&A and meet & greet to follow. Nicholas Sparks's appearance is a ticketed event. Tickets are $30, will be available here through Left Bank Books beginning August 1, and will include one pre-signed copy of The Longest Ride. An additional, limited number of pre-signed books will be available for purchase at the event. The author will not be signing at the event, but ticketed guests will have the chance to greet the author after the evening's presentation. A portion of the proceeds from the event will go to support the Library's mission to enhance individual, family, and community life. Don't miss this rare opportunity to meet Nicholas Sparks and support the St. Louis Public Library. Tickets may be purchased at longestride.brownpapertickets.com. With over 85 million copies of his books sold, Nicholas Sparks is one of the world's most beloved storytellers. His novels include eleven #1 New York Times bestsellers, and all his books, including Three Weeks with My Brother, the memoir he wrote with his brother, Micah, have been New York Times and international bestsellers, and were translated into more than fifty languages. Eight of Nicholas Sparks's novels -- Safe Haven, The Lucky One,The Last Song, Dear John, Nights in Rodanthe, The Notebook, A Walk to Remember, and Message in a Bottle -- were also adapted into major motion pictures. 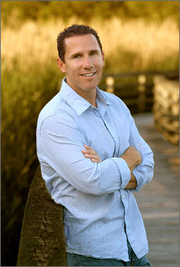 In 2011, he founded the Nicholas Sparks Foundation to inspire and transform students' lives though education, curriculum development, and life-changing international experiences. Emmy Award-winning journalist Jackie Nespral became the first Hispanic ever to anchor a network news program when she was tapped for NBC's Weekend Today show in 1991. After commuting between Miami and New York for three years, she chose to continue her career in South Florida with NBC Miami. She currently anchors NBC Miami News at 5 p.m., 6 p.m. and 11 p.m. While with NBC news, Nespral became known for her interviews with prominent figures, ranging from national and international leaders to celebrities. She has extensive experience covering stories such as Elian Gonzalez, the peace accords in El Salvador, The Papal visit to Cuba, presidential debates, hurricanes, and the world series and NBA championships among others. Her work has been recognized with two emmys , Easter Seal award, an honorable mention from the American Women in Radio and Television among others. A South Florida native, Nespral has remained a familiar face throughout the community. She is on the Board of Trustees of the University of Miami where she also serves as the first Hispanic woman president of the University of Miami Alumni Association. She is on the board and actively involved in Amigos For Kids. She also serves on the Board of Directors for the March of Dimes, the Columbia Women’s Center and South Miami Hospital's Child Development Center. Siging Guidelines/Ticketing Information: Vouchers are available for this event at Books & Books in Coral Gables, Miami Beach and Bal Harbour Shops. You can pick them up in person, purchase them online, or call any of our store locations and have one reserved for you to pick up at "will call" the night of the event. You recieve your voucher in exchange for purchasing The Longest Ride ($27 + tax) OR El viaje más largo ($22.95 + tax) at Books & Books. This voucher entitles you to receive (1) one autographed, pre-signed copy of The Longest Ride or El viaje más largo, and also serves as your entry for (2) two people to an interview-style conversation with Nicholas Sparks and Emmy Award-winning journalist Jackie Nespral at Miami Dade College on September 30. Mr. Sparks will not be autographing any books at this event. All books will be pre-signed and waiting for you when you arrive. Instead, you are invited to join the line immediately following the evening’s presentation for a special meet & greet with the author. There will also be additional pre-signed copies of the book available for purchase that evening. You must show your voucher and attached receipt to claim entrance to the event and claim your pre-signed copy of the book, so please remember to bring it with you that day. Books & Books is NOT responsible for lost or stolen vouchers. In the tradition of his first novel, The Notebook, #1 New York Times bestselling author Nicholas Sparks returns with a story of two couples whose parallel love stories intersect in profound and surprising ways in his latest novel, The Longest Ride. Ira and Ruth. Sophia and Luke. The lives of two couples who have little in common, and who are separated by years and experience, will converge with unexpected poignancy, reminding us all that even the most difficult decisions can yield extraordinary journeys: beyond despair, beyond death, to the farthest reaches of the human heart. All of Sparks’ books have been bestsellers, with over 89 million copies in print worldwide. Eight of his novels have been adapted into major motion pictures, including A Walk to Remember, Nights in Rodanthe, Dear John and, most recently, Safe Haven. Sparks will discuss The Longest Ride with NBC Washington anchor Angie Goff. Note: The author will not be signing any books at the event; books will have been pre-signed. Instead, you are invited to join a receiving line immediately following the event to meet the author. Nicholas Sparks is currently considered a "single author." If one or more works are by a distinct, homonymous authors, go ahead and split the author. Nicholas Sparks is composed of 11 names. You can examine and separate out names.